Police surrounded the scene of a sergeant-involved shooting on Berkman Drive on March 18, 2014. 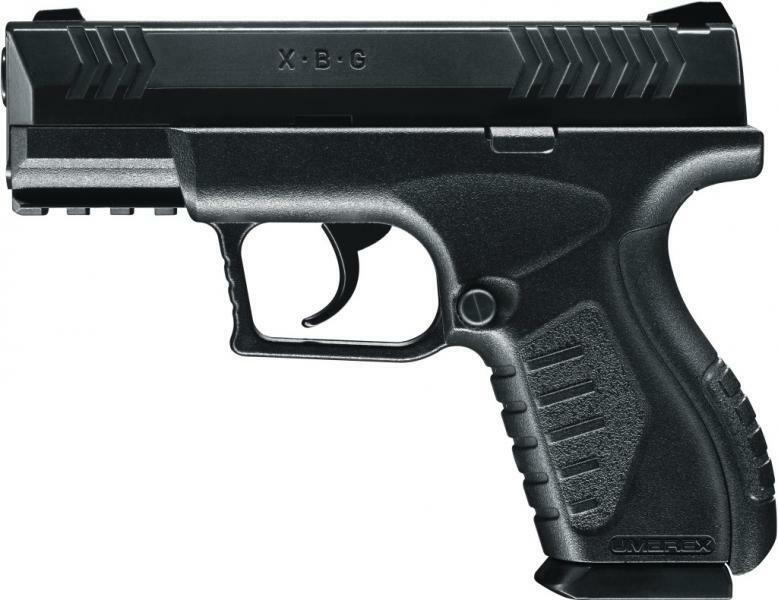 A Umarex model XBG pellet/BB pistol, the type Austin Police say was held by man when he was shot. Update: Austin Police made clear Thursday that the weapon in the hand of man who was shot this week by an APD sergeant was a pistol that fires BBs or pellets. Austin Police Chief Art Acevedo spoke about that pistol in the hours after Tuesday’s shooting. APD says Sergeant Gregg White, a 17-year veteran, fired at 22-year-old Jawhari Smith after Smith failed to comply with commands to drop the weapon. Smith has injuries to the face and shoulder. He was still hospitalized Wednesday when he was released from custody, pending further investigation. Sergeant White is on paid administrative leave pending the outcome of APD’s investigation. Original story (March 18): An Austin police officer has shot and injured a man in northeast Austin. The shooting occurred outside apartments near the intersection of Berkman and Glencrest Drives. The shooting victim is in critical condition. The shooter is an as-yet-unnamed police sergeant with a 17 year history on the force. At a press conference this afternoon, Police Chief Art Acevedo said cops received a "call of disturbance with violence – male versus female" shortly before 12:30 p.m. The first officer on the scene saw the suspect "involved in the disturbance with his girlfriend," Acevedo said. "The suspect had a semi-automatic pistol in his hand," Acevedo continued, allegedly telling the officer it was a BB gun. "The sergeant ordered the suspect several times to drop the weapon. The suspect did not comply and the sergeant, in fear for his life, fired several rounds at the suspect, striking the suspect." Acevedo said EMS was called at 12:29 p.m. They arrived at 12:33 p.m., and the suspect arrived at University Medical Center Brackenridge at 12:39 p.m. Acevedo said the suspect "is expected to survive." No video exists of the incident, because the patrol car with camera was parked away from the action. But Acevedo says the incident was "captured in its entirety" via audio. The Austin Police Monitor’s Office and APD Internal Affairs are both investigating. The APD sergeant is on paid administrative leave pending the investigation.